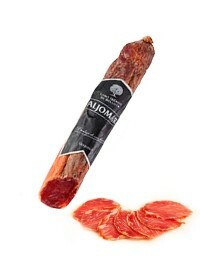 Select Iberian acorn-fed loin is one of the prime cuts from the Iberian pig. This Iberian pig roams in the pastures of Andalusia, Extremadura and Salamanca, eating a diet of natural products such as grains, grass and acorns. Half piece 5 Bellotas Iberian acorn lomo (loin). 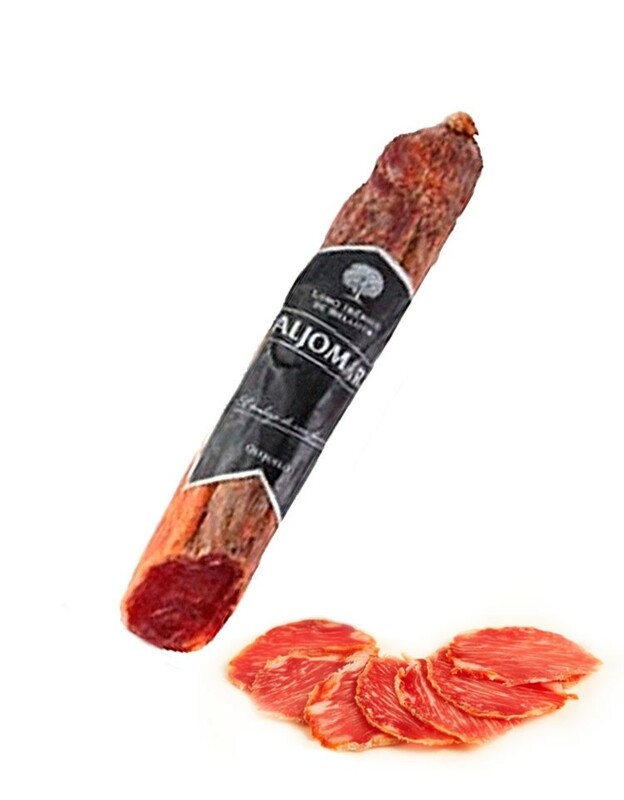 Products made from meat that comes from Iberian pigs are very rich in protein and easily digested. They have a high biological and nutritional value due to the phenomenon of fermentation that concurs during maturation. They are also foods that are high in fat, but with the peculiarity that, due to the breed it is, this fat has a level of unsaturated fatty acid of 65%. These fats have a positive influence of the cholesterol and triglyceride metabolism, whereby increasing the level of good cholesterol, which is well known to cause a significant cardioprotective effect. Odor: soft aroma characteristic of cured sausage. Color: characteristic of cured meat, veined in white pearly. Taste: pleasant, characteristic with a light and enveloping bouquet. Juicing: adequate tenderness with absence of fat sensation.